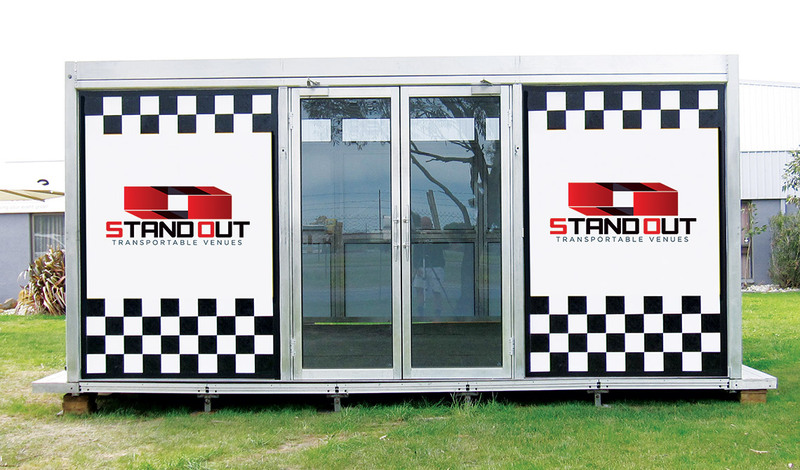 We are a world leader in legally towable, expanding venues. Our venues have a professional, permanent appearance, which will leave you wondering why you would consider using a marquee ever again. Our venues will have your guests talking about your function for months (even years) to come. Whether you are entertaining guests at a private function or stamping your authority as a corporate sponsor at a sporting event we have the venues and expertise to make this happen. Our venues are completely transportable and fully self contained on their own trailer. We simply put the trailer in place and “fold” your venue out. And, with a huge range of infill panel options, you can tailor your venue to create any look and feel that you desire. Check out the range of infill panel options in the Gallery. With super quick set up and pack down times, our venues are perfect for your travelling events. Imagine being able to have this venue set up over the finish line of every daily stage at a cycle tour. Consider the benefits of being able to have your venue removed from an arena within 1-4 hours of the completion of an event. We are in the business of creating venues with atmospheres that will take your breath away. Quite simply – Our products are the best available. With an eye for detail and a passion for excellence, no one will care about your event preparations as much as we do. We have over 20 years combined experience in the Corporate Events business as well the Private Party Hire sector. We have a thorough understanding of our client’s requirements and expectations. We have the ability to deliver on time, every time with minimal disruptions to any other preparations around us. Contact us to discuss your requirements. With our product and industry knowledge, we will help you find a solution to the most intricate preparation.